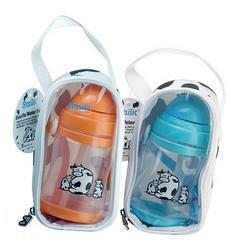 Basilic PP Water Bottle is press top straw bottle for your precious one. 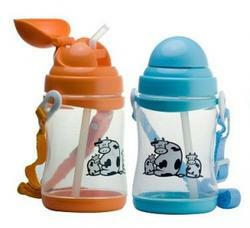 It is made from PP material which is BPA Free and safe for your children. It is non-spill and you do not need to dry the floor or get ready the floor mop when your baby start using the bottle. It comes with a replaceable bottle strap which makes it easy to carry while you go outing with you baby. Recommended Age: 9 months and above.